Good Morning AmericaThis tasty item has bacon, links, potatoes and scrambled eggs topped off with three blend cheese. Sleeping BearSausage gravy, scrambled eggs, onion, green pepper, ham, bacon, and three blend cheese. Boaz Two eggs* any style, choice of bacon, ham, patty or link sausage with toast and hashbrowns. Dora! Dora! Dora!Breakfast sandwich, two fried eggs with the yolks split, some cured bacon and USA cheese….All held together with an English muffin and hashbowns. James JoyceHe eats this meal every day….mound of grilled browned corned beef hash and hashbrowns with three fried eggs* on top and finished off with shredded cheese. It’s a heart stopper! The SimpleTwo eggs* any style, with hashbrowns and toast. EverestThis meal will make you feel like the top of the world. Hashbrowns stuffed with hand cut sausage, Bavarian hickory ham, fresh cut onions, and melted shredded cheese, served with two eggs* any style and toast. Tiger J.Two eggs* any style, choice of meat and toast. 3 StoogesLarry, Moe and Curly take shaved ribeye and mix in some hashbrowns, add a handful of chopped onions and a mountain of shredded cheese.top with two eggs* any style and toast. Whup! Whup! Whup! 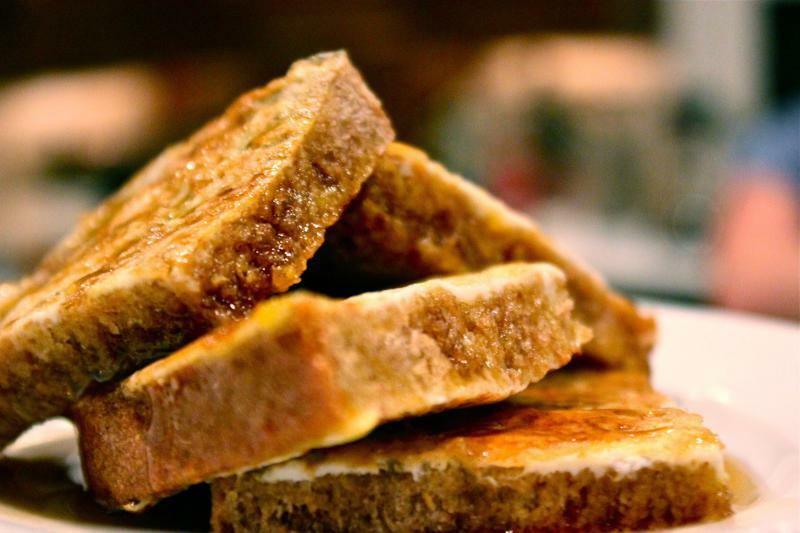 French ToastThree big slices of bread dipped in eggs. Grilled golden brown, topped with powdered sugar. Buttermilk pancakes cooked golden brown. Farmers BowlSausage, green peppers, hashbrowns, and shredded cheese topped with sausage gravy. With your choice of eggs* and toast! Toasty warm sugar laden waffles. One smell and you know they're going to be great!! Add strawberries and whip cream. 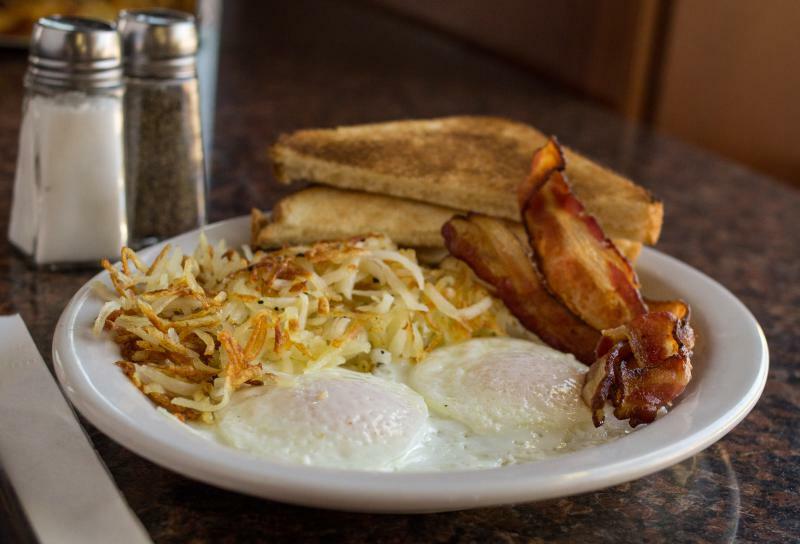 Farm fresh eggs and ingredients sure to meet anyone’s appetite served with hashbrowns & toast. Cheese Steak This premium creation has a generous amount of shaved rib eye accented with white Swiss cheese and freshly chopped onions. Pure delight for the carnivore in you. CheeseFilled with USA, Swiss, & Feta…Protein galore and good. FarmersThis beast is stuffed with choice ground sausage links, farm fresh green peppers, and hashbrowns covered in melted American cheese. This one will grow on you! WesternDiced Brickman hickory smoked ham, a handful of onion that will bring a tear to your eye, loaded with freshly cut green peppers and American cheese. Sure to be a giddy-up & go to your day! Irish OmeletteTop of the morning to you! Corn beef hash topped with melted Swiss, made to satisfy the heartiest of appetites. GreekThis Herculean creation is stuffed with vine ripe tomatoes, onions and black olives. Finished off with crumbled Feta cheese…a mythical experience. 14 egg masterpiece loaded with meat, strong will required! 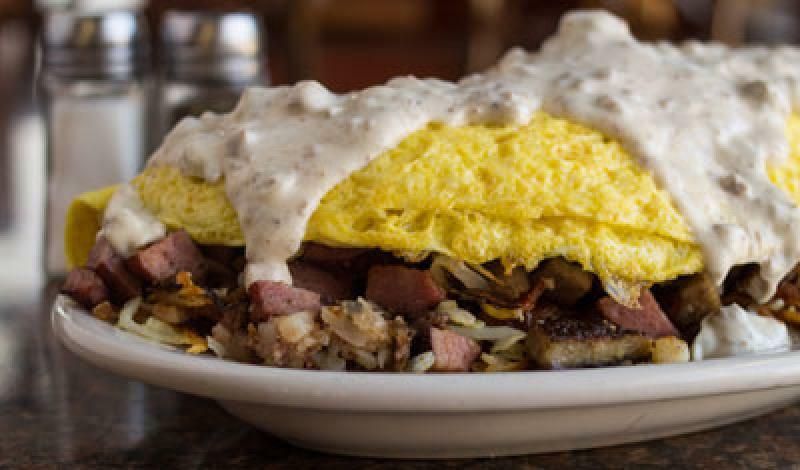 Loaded with fresh chopped sausage, ham, corned beef hash, and thick cut bacon. Filled with hashbrowns and a slice of toast. Topped, yeah! Topped with sausage gravy. Served on a turkey platter. It’s BIG…It rocks. Defibrillator not included… Please allow up to 25 minutes to prepare. Burritos-Make any omelette into a breakfast burrito!!!! Kids 12 & Under. Meals include juice or milk. Regular ole' Eggo mini waffles served warm with powdered sugar and your choice of meat. Breakfast MeatBacon, Ham, Sausage Links or Sausage Patty. 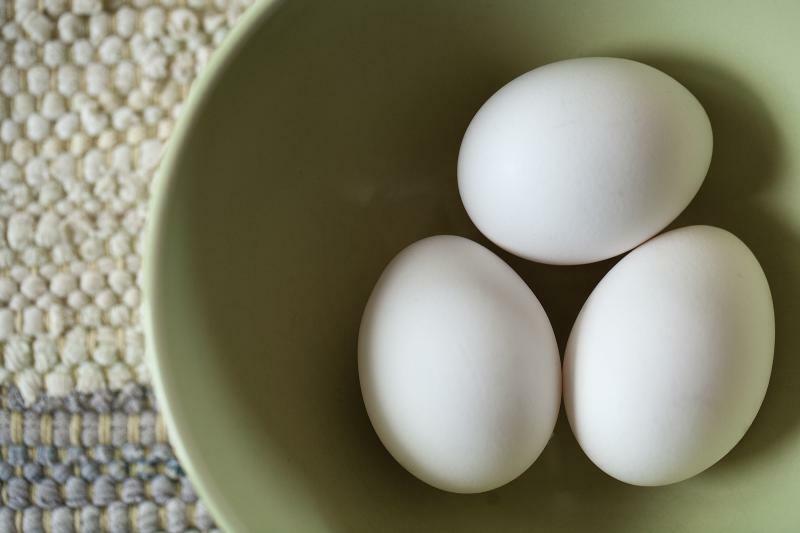 Egg ChoicesScrambled, Over Easy, Medium or Hard, Basted or Poached.